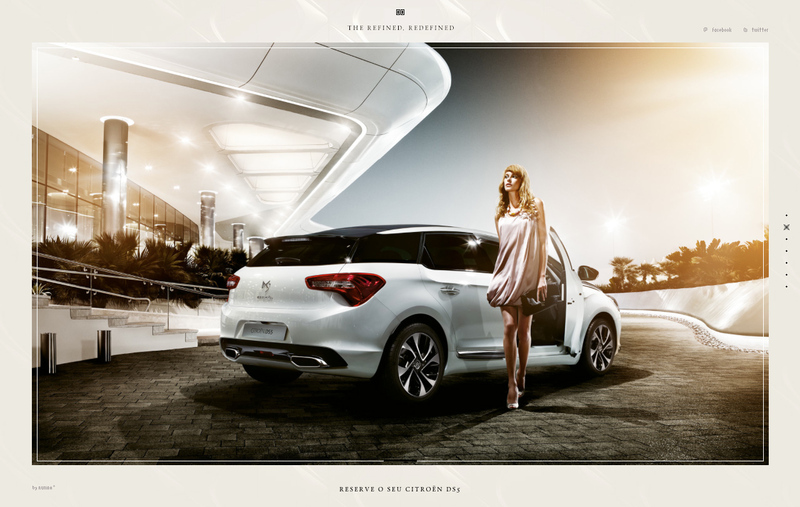 AJAX loading Landing Page for the new Citroën DS5 model. I want to put this submission in the ‘Most Loved’ category but I’m really unsure. The imagery is world-class, as are the video background main navigation items (on hover) and I love the load transitions within the sections but can’t help but think that due to such heavy media the preloader takes such long time and really affects the user experience. The site oozes quality though and I’m sure this was the main goal. Citroën DS5. The refined, redefined. A premium car designed to surprise and exceed all expectations. Know every detail of this wonderful car in a simple and unique way.